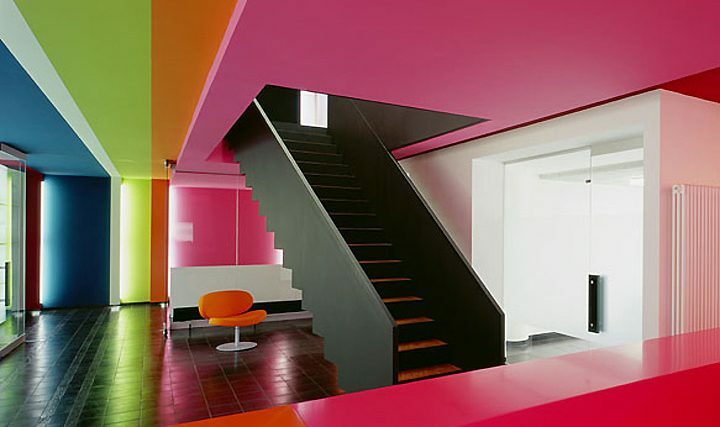 The role of colors in interior design is not only aesthetic, but they are sometimes used to create a metaphor and suggest an idea. 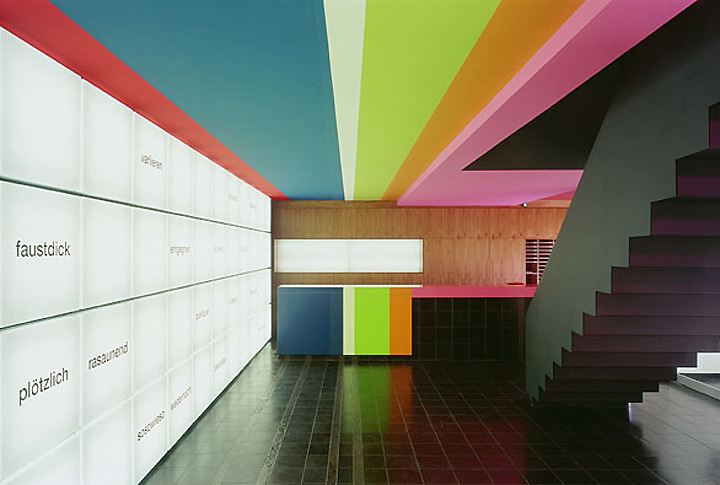 Designed by Ippolito Fleitz Group, the Panama office in Stuttgart, Germany, uses colors to imply a sense of adventure and to let its visitors know that they enter a world where anything can happen. Panama is an advertising agency, so daring to be different is assumed to come with the territory. Bold colors are a sign of self-confidence, and this is exactly the message this agency intends to transmit. 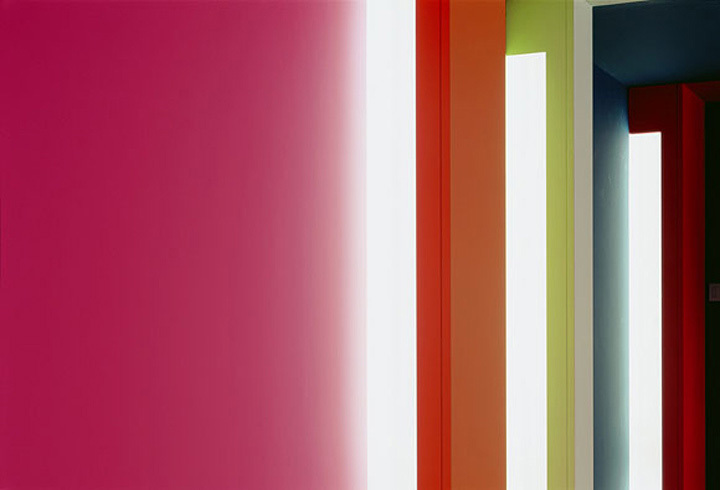 The company’s can-do attitude is emphasized by a collection of colors that are far from shy. The building was constructed in the 1960s. 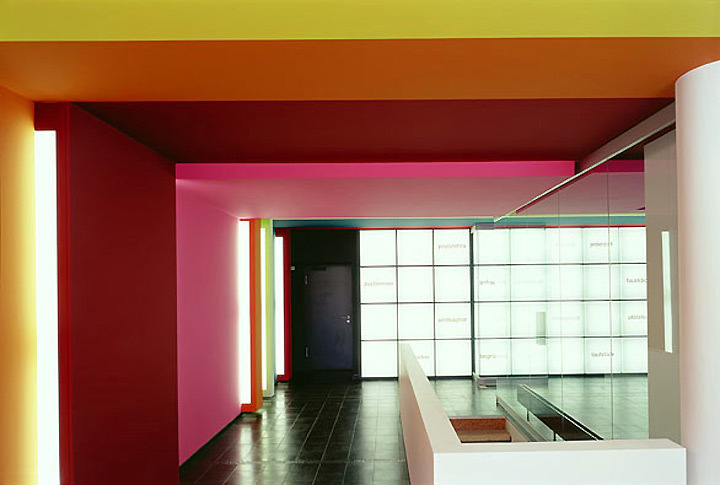 The bright colors are an inspired match for its simple, modern lines and retain the character of the building. They follow and define the angles of the walls, emphasizing their relief and the cross-layering of the building. They also separate large areas of the ceiling and are reiterated on the surface of the counter, in a dramatic combination of color blocks and stripes. It is interesting to notice that the most vibrant colors are used in the receiving area, while the other parts of the office are more austere, even if bright colors still make a presence. It is the customers that these vivid colors are supposed to talk to, giving them a sense of energy and enthusiasm.